The British Rotary Photographic Co. Ltd was active in London between 1897 and 1916. It was a huge publisher of real photographic postcards. Real photographic cards were actual photographs produced from negatives directly onto photographic paper that was postcard sized. 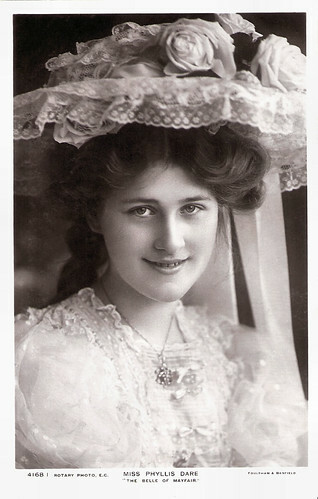 Rotary published several elegant postcards of actresses and actors. Its series included the S-series and the Rotary Photographic Series. For this post, we chose 12 delicate portraits of female stars of the British stage and the early British cinema. Gaby Deslys. 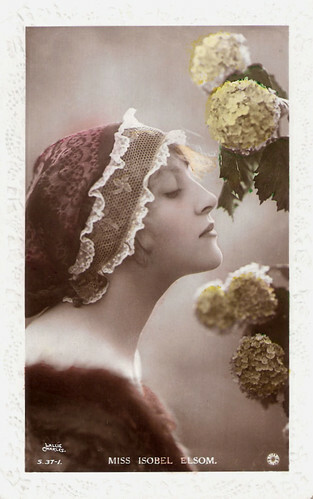 British postcard by Rotary Photo, no. 11843 Q. Photo: Talbot, Paris. Collection: Didier Hanson. 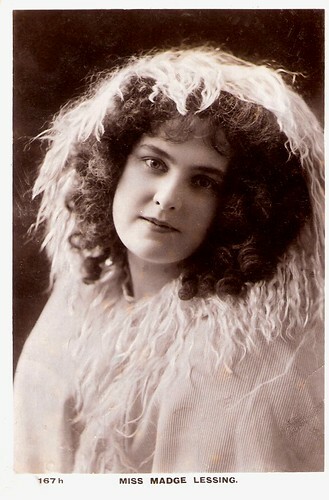 Isobel Elsom. British postcard by Rotary Photo, London, no. S.37-1. Photo: Lallie Charles. 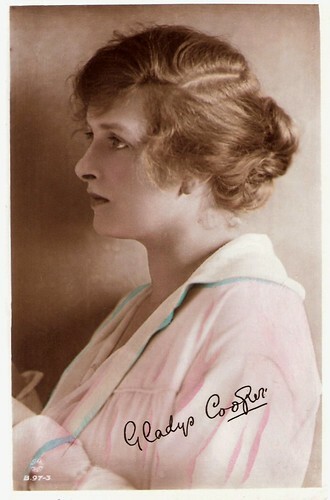 Fay Compton. British postcard by Rotary Photo London, no. S.38-5. Photo: Rita Martin. 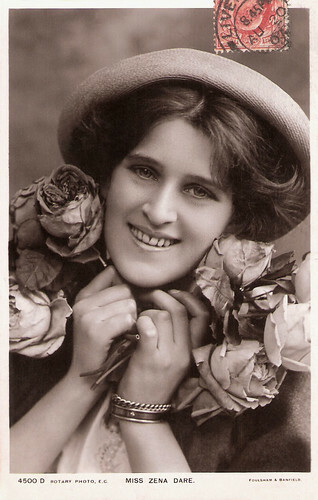 Gladys Cooper. British postcard by Rotary Photo, London, no. S.97.3. Madge Lessing. British postcard by Rotary, no. 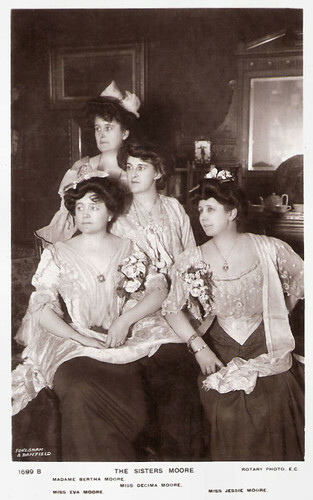 167 h.
Eva Moore and her sisters Decima, Bertha and Jessie Moore. British postcard in the Rotary Photographic Series, no. 1699 B. Photo: Foulsham & Banfield. 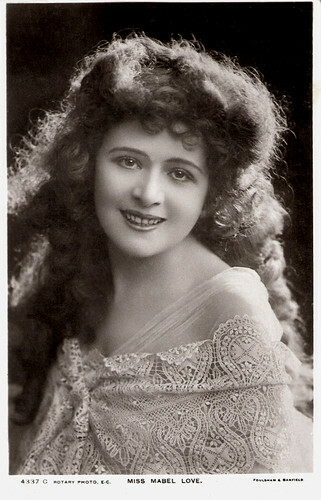 Phyllis Dare. British postcard by Rotary Photo E.C., no. 4168 I. Photo: Foulsham & Banfield. 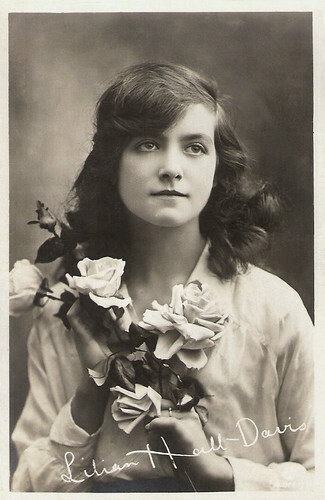 Publicity still for the stage play The Belle of Mayfair (1906). Mabel Love. British postcard by Rotary Photo E.C., no. 4337. Photo: Foulsham & Banfield. Constance Collier. British postcard by Rotary Photo E.C., no. 4039 D. Photo: Foulsham & Banfield. 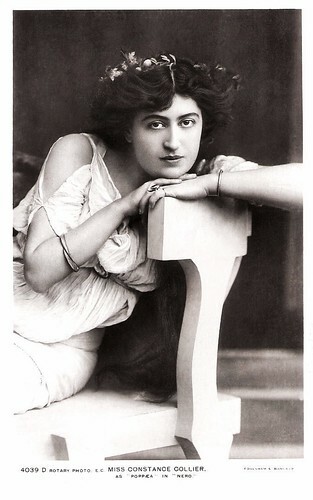 Publicity still for the stage play Nero (1906) with Constance Collier as Poppaea. Ada Reeve. British postcard by Rotary Photo E.C., no. 4167 A. Photo: Foulsham & Banfield. 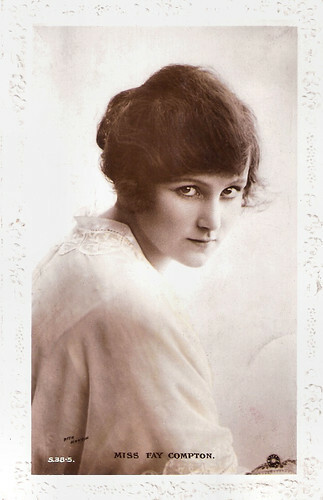 Zena Dare. British postcard by Rotary Photo E.C., no. 4500 D. Photo: Foulsham & Banfield. 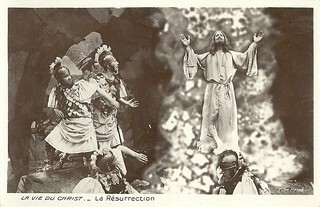 The postcard was sent by mail in 1907. 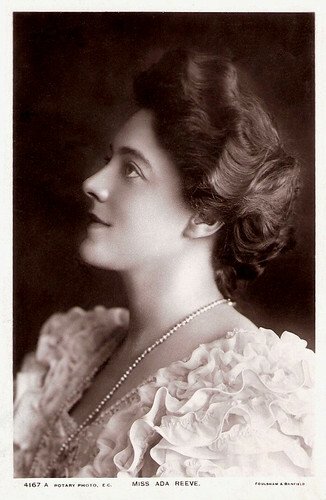 Lilian Hall-Davis. British postcard by Rotary Postcards E.C. 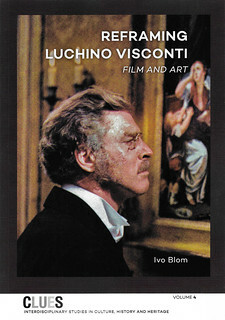 Sources: Grace's Guide, Postcard Collecting, and Ross Postcards. Goodness Gracious! 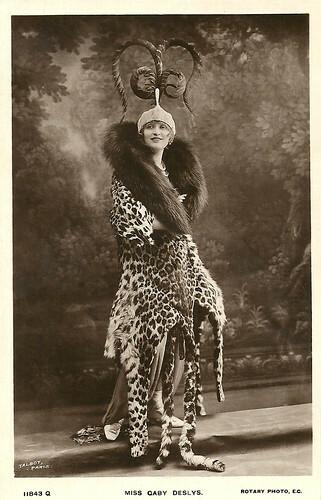 That fur coat on the first postcard, is just extraordinary! 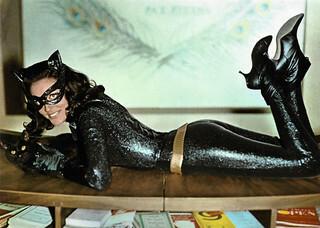 She's wearing the entire big cat! Wow. I doubt this beautiful star would be able to wear such a coat these days! Thank you for posting, as always I learned something new. Blessings to you and yours, Paul.